Lyft is expanding its loyalty program to include all consumers. The new Lyft Rewards program follows the launch of a similar service for business travelers that kicked off in February. That program provides a rebate for rides taken with the car sharing service and billed to a business account. According to Lyft, members of the expanded program would earn points for every dollar spent and that currency could be used for upgrades or savings on future rides. 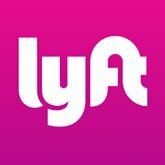 Reward tracking would be available through Lyft’s app. Lyft Rewards will start rolling out in December to select riders in a few cities. The program will expand in 2019. Lyft already has a partnership with Delta Air Lines that rewards travelers with one mile per dollar spent on rides.